Make 3 puffy playmates! Fold out the 3D honeycomb paper bellies to create a bear, butterfly and an alligator. 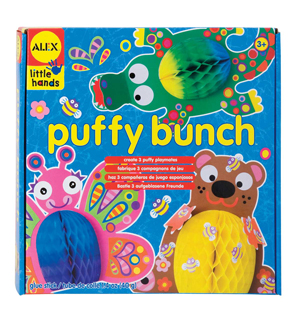 Includes 3 honeycomb tissue animals, over 100 stickers and paper crafts, glue stick and easy instructions.